I haven’t forgotten about this. A new series designed to make me post more frequently. Weekly, was actually my goal. Has it worked? Partly. It’s been more than a week, but it hasn’t been the months that have often come and gone between posts. More food soon folks, (promise?). As I’ve said many times, life is busy. But everybody tends to be busy. All in unique ways, but all still busy. So how can I possibly use that excuse? Well, I’m just going to use it anyway. Life is also good. It’s FREEZING outside, but the sun is shining and two handsome boys are having a much-needed nap. I’m looking forward to sunshine and warm weather though, deary me, it’s been a longg winter. But the snow has also been great. So pretty, and great to play in (not that I’ve taken advantage of that nearly enough). Oh, to have the energy of a child who can play for hours in the snow. I loved doing that. Forts, tunnels, you name it, we build it out of snow. The Baker Chick. If you haven’t heard of her, GO CHECK HER OUT. RIGHT NOW. She’s a sweetie, with an adorable new baby boy, and some of the best food on the planet. Not to mention gorgeous photos. Last week I made these awesome Gooey Meyer Lemon Sweet Rolls (but with oranges of course, I just cannot seem to follow a recipe). They were phenomenal. My yeasted dough turned out awesome! Which is always a treat, as I find it hard to get stuff to raise in my too-cold house. And they were just awesome. 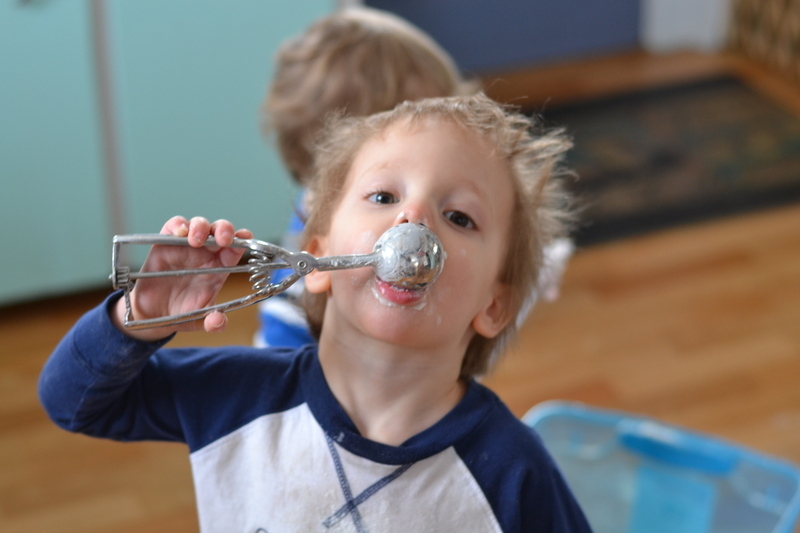 The cream cheese frosting is the game-breaker. So good. Bogs. These are the best boots ever. I got a pair for my birthday last year after I wore my brother’s half the winter (he somehow forgot them while he was away to school – score!). They are fantastic. Like a rain boot, but good up to -40F. Waterproof and ssooooo comfortable. Most certainly worth the price. They will last me my life. They don’t have the ones that I got anymore, but they’re similar to the Classic Boot, but in teal. This is my next DIY project, for in my kitchen. Sharpie, white paper and a black frame, all set and ready to go. 1 Thessalonians 5:18 – “Give thanks in all circumstances; for the is the will of God in Christ Jesus for you”. To be thankful all the time. That’s a hard one. But is certainly makes sense. The Secret of Platform 13. This is one of my all-time favourite books. I’ve read and re-read it probably 10 times. It’s a kids book, but I just love the fantasy aspects. It is great. I could rave about it forever… I’m a sci-fi, fantasy fan… so if you don’t enjoy that type of things, you may not like it. Easy read though. Super duper easy. And that is that. I’ll get working on making something wonderful to share with y’all. … Pictures though, of course. Here they be: My beautiful boys. 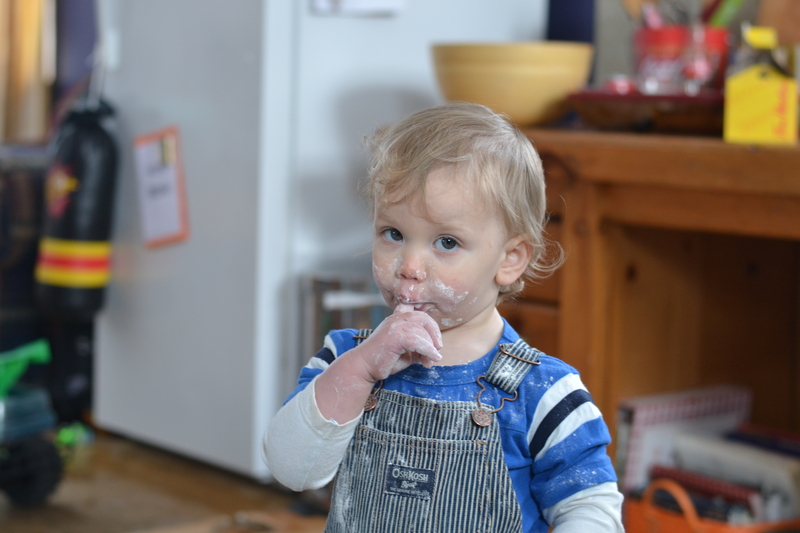 Jude decided to try a fistful of flour. There was lots of coughing involved. 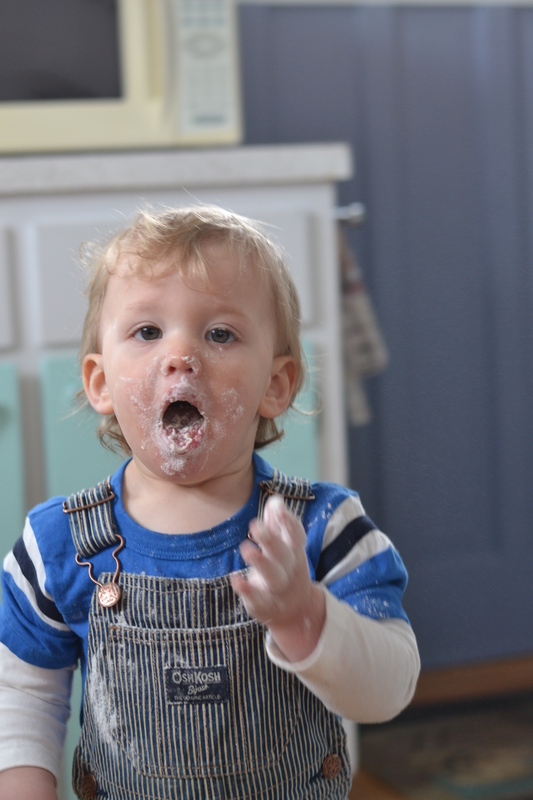 And mess. Lots of mess. He had to try it too! Innocent looking, but don’t be fooled. 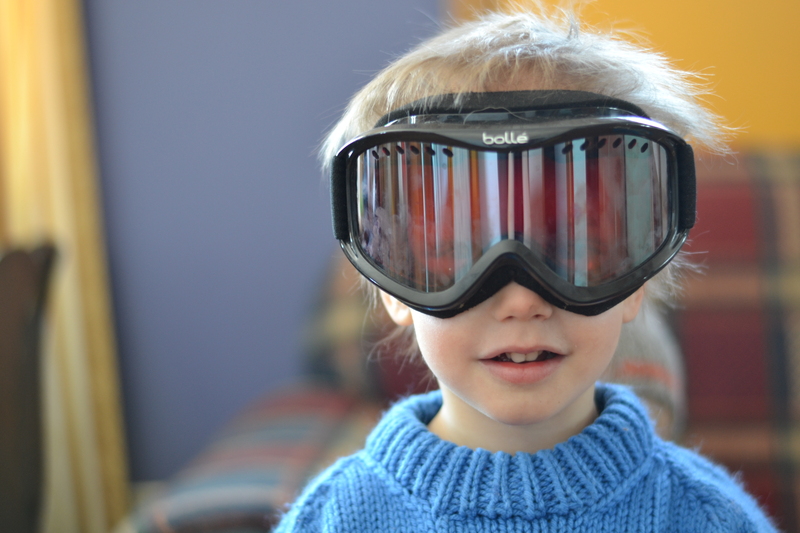 Cael loves to get his hands on his uncle’s ski goggles. He makes a pretty cute bug, eh?